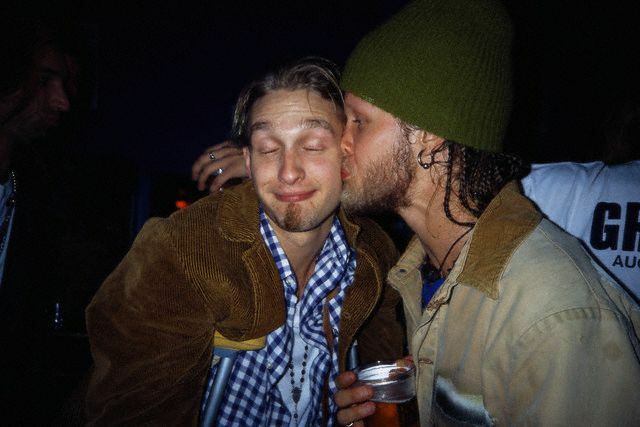 In 1991, after the release of Blind Melon’s disappointing E.P. 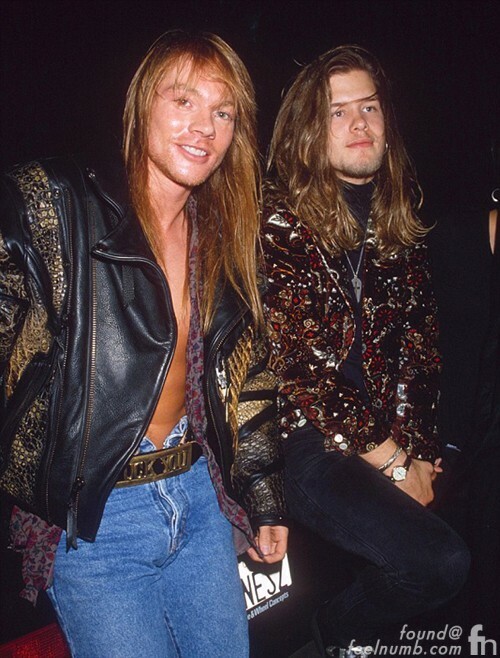 on Capitol Records called “The Sippin’ Time Sessions“, Shannon Hoon became re-acquainted with Axl Rose of Guns N’ Roses, an old friend of his sister from their small hometown in Lafayette, Indiana. 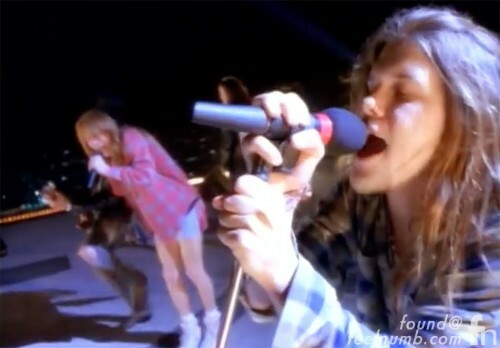 Rose invited Hoon to sing back-up vocals on several tracks on Guns N’ Roses now legendary “Use Your Illusion I & II” albums. Hoon most notably sang a duet with Rose on the ballad “Don’t Cry” providing his beautiful high harmony vocals. Hoon even appeared in the “Don’t Cry” music video. 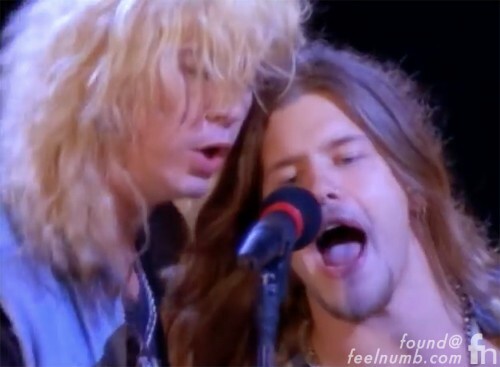 Hoon also performed live on stage a few times with GN’R. 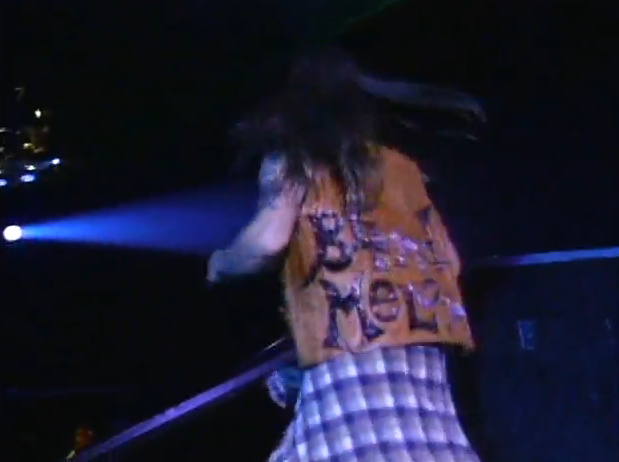 At this Gun’s N’ Roses concert on July 29, 1991 at The Forum in Los Angeles, California, Hoon sported a Blind Melon leather vest. 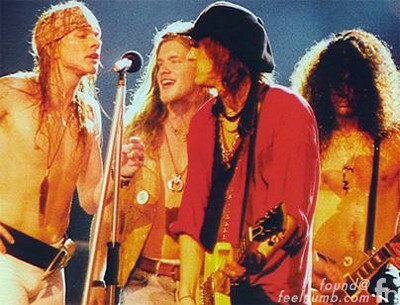 By taking Hoon under his wing, Axl helped jump start Blind Melon’s career and in the process the two formed a meaningful friendship. These are Hoon’s credits on the Guns N’ Roses’ Use You Illusions I & II album. How Did Paul Hewson Get The Nickname Bono??? Trent Reznor Was An Inspiration For The Christian Bale Movie "The Machinist"
Did Prince Cause The Jacksons To Remove Dove From "Victory" Album Cover? 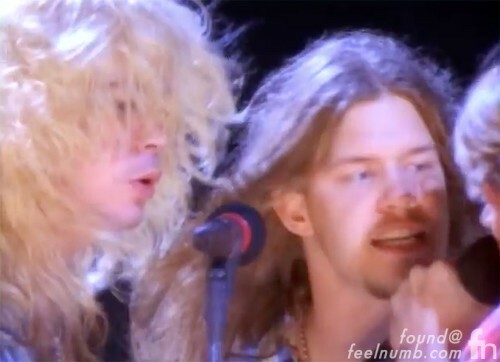 Feelnumb Exclusive: Taylor Hawkins "The Birds of Satan" Band Name Came From The Book "Scar Tissue"